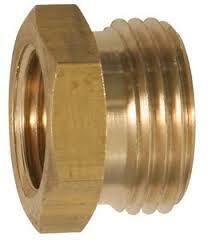 Lead Free Brass - Click photo to go to the WM-NLC Series Lead Free Water Meter page. Lead Free Brass - HOT water - Click photo to go to the WM-H Series No Lead Residential HOT Water Meter page. Plastic - Click photo to go to the WM-PC Series Plastic Water Meter page. 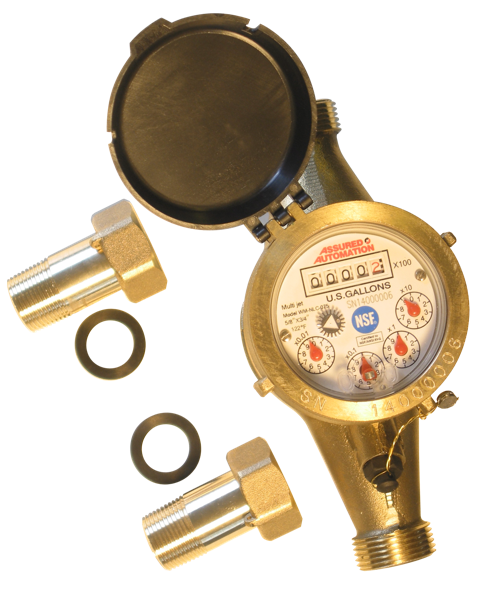 For applications with constant direct sunlight or severe outdoor temperature fluctuations brass meters are recommended. HOT WATER- Click photo to go to the M201CH hot water meter page. 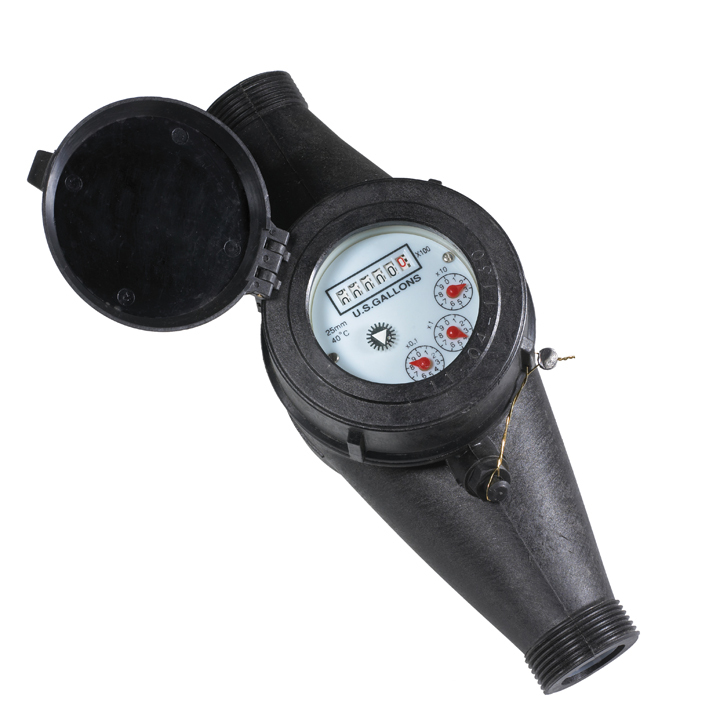 For use with water meters that have a pulse output only. These counters are totalizing counters that are panel mounted. It will display eight .354", digits of the totals. In addition, it is powered by a non-replaceable, lithium battery that has an expected life of 10 years at 68°. No other batteries are required. The front reset button can be diabled if desired. Garden Hose Adapters for WM Series water meters - Click photo to go to the web page for this product. 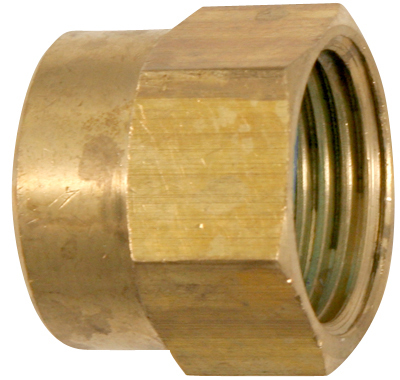 These adapters work only with our WM Series water meters and allow you to attach them to a standard garden hose. It offers you a great way to measure your irrigation water totals or pool/pond filling applications. 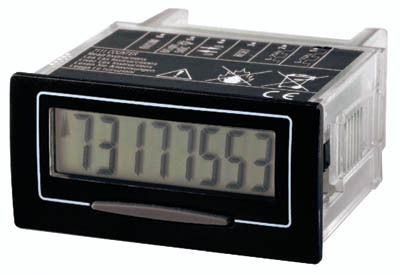 If you're looking for a digital display with resettable total visit our Digital Water Meter product (you would need to order different garden hose adapters that are available as an accessory with this meter). Well I can’t read any of the numbers because water bubbles started to appear inside the clear cover, guess it’s a seal problem, don’t know. FLOWS.COM RESPONSE: Sorry to hear you're having issues. We would love to talk to you about your application as well as our product warranty. We may be able to replace the unit or offer a pulse switch with digital display so you can read it clearly (the meter is still working accurately). Please contact us at 855.871.6091 and we're happy to help. Great price point, great service. I have a Nuvo water "softener" so I need to know when the neutralizing agent is running low. I have the water hardness and can now estimate when to change the element. This will be much more precise than general guideline, which typically are very self serving. These "totallizers" are consistent with the expected savings from monitoring the amount of money passing through the unit. IT is value for money.